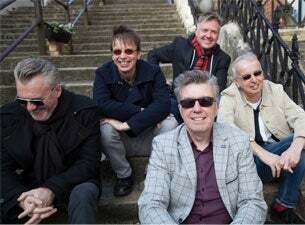 Next May, to mark it's 40th anniversary, The Undertones will perform classic tracks from their self-titled debut album – a record that's considered by many to be one of the best punk albums of all time – along with hits across their career including Get Over You, My Perfect Cousin, You’ve Got My Number, and of course, Teenage Kicks. Support for all dates comes from special guest Neville Staple. Catch the band in London, Coventry, Bristol, Newcastle, Leeds, Manchester, Norwich, Bexhill-on-Sea or Southampton– and get your tickets before anyone else in our presale when it open at 10:00 on Wednesday 10 October 2018. Next May, to mark it's 40th anniversary, The Undertones will perform classic tracks from their self-titled debut album – a record that's considered by many to be one of the best punk albums of all time – along with hits across their career including Get Over You, My Perfect Cousin, You’ve Got My Number, and of course, Teenage Kicks. Support for all dates comes from special guest Neville Staple. Catch the band in London, Coventry, Bristol, Newcastle, Leeds, Manchester, Norwich, Bexhill-on-Sea or Southampton throughout May 2019.